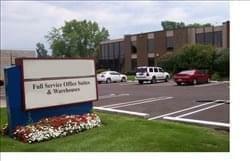 Find My Workspace lists over 95% of the executive office suites market in Livonia. Simply click Request Quote to check pricing for one office, or Add to Basket for multiple offices. A lease at this center includes much more than just a private office. It also includes many communal amenities and support to help a new business grow. There is a receptionist on staff to help you by answering your phones, greeting your guests, booking appointments, and being a person in the office when you’re able to be there. There is also a CRMA, which allows her to also collect mail and packages for you. The lease also includes use of both meeting and conference room, as well as a breakout room for when you just need to take a break. The offices are accessible 24/7 and currently all new leases are for newly renovated offices. In addition to the office space, there is also have warehouses behind us for storage or outside work.